Ming Ming is Hong Kong music video director Susie Au's first feature film. According to IMDB, Zhou Xun plays Ming Ming, a 21st Century martial arts princess and lady Robin Hood who steals for love. Her Prince Charming is D (Daniel Wu), a maverick fighter and irresistible rogue who posted this challenge to his swarms of female admirers - give him 5 million dollars and he'll run away with his benefactress to Harbin. Ming Ming meets D's another girlfriend Nana (Zhou Xun), who is a virtual look-alike of Ming Ming. Meanwhile, disappears from Shanghai without a trace. The only clue he leaves behind is a cryptic phone message. Shooting began in Hong Kong, Shanghai and Harbin in March 2005 and wrapped up by December that year. It was premiered at Pusan International Film Festival last September. It will be shown at Hong Kong International Film Festival later this month and will be released in Asia starting in April. 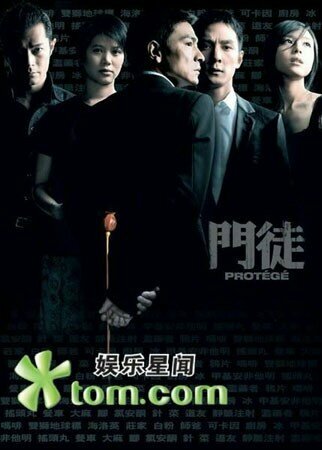 Andy lau, louis koo, daniel wu & anita yuen in movie "protege"
Hi...I´m brazilian and visit your site every day!!! Daniel is so hot, i love him!!! !